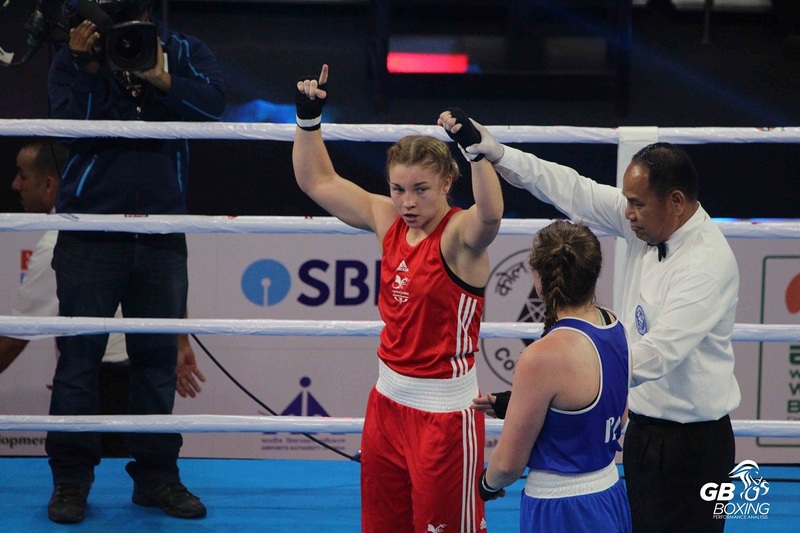 WALES’ Lauren Price guaranteed herself at least a bronze medal today at the AIBA Women’s World Boxing Championships in New Delhi, when she defeated Elzbieta Wojcki of Poland in her middleweight quarter-final. A canny display of counter punching saw Price land the cleaner shots against the tall and aggressive Pole to earn a split decision victory on three of the five judges’ scorecards. She will face the number one seed, reigning European Champion and two-time world championship medallist, Nouchka Fontijin of Holland in Friday’s semi-final. Price said: “I knew that my opponent would come forward, so the plan was to draw her in and use my speed to counter her. The first round was close, but I think I really picked it up in the second and third and deserved the win. I am absolutely thrilled to win a medal – it has not really sunk in yet. Price, 24, is the sole boxer from Great Britain left in the tournament after England’s Natasha Gale lost her quarter-final in another 3-2 split to the number two seed, Li Qian of China. Gale used her strength and fitness to put the highly experienced Chinese boxer under intense pressure tracking her around the ring. But despite landing several heavy shots, it was not enough to secure her a passage into the semi-finals. Price’s semi-final on Friday will be in the evening session in New Delhi, which starts at 1030 GMT. It will be streamed live via the BFI YouTube channel and can be viewed at https://www.gbboxing.org.uk/.